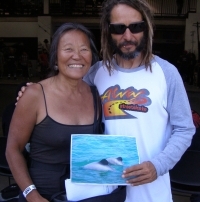 "I WORK IT FOR THE WHALES" says legendary Dogtown skateboarder Peggy Oki at the 2012 Skateboard Hall of Fame Awards. 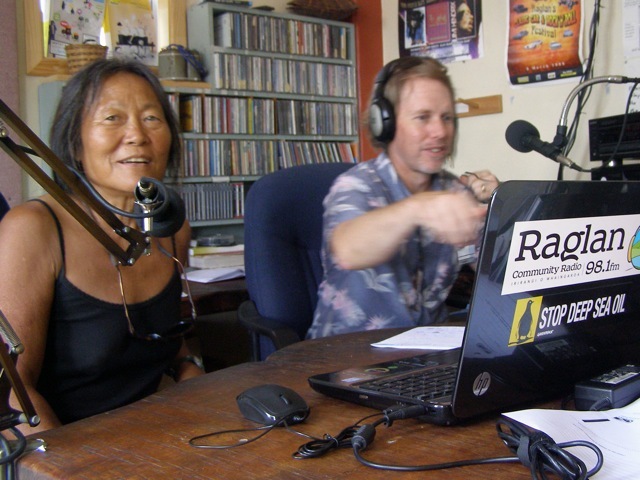 Peggy Oki, "Let's Face It" Campaign Coordinator and Z-girl from "Dogtown & Z-Boys" speaks up for the Maui's as "2012 Skateboarding Hall of Fame inductee". 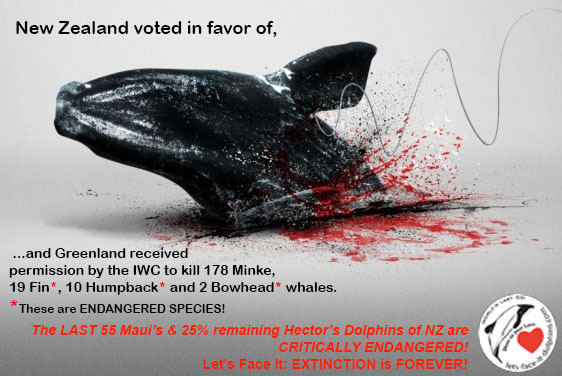 "Every Kiwi (New Zealander) should see this, John Wathen's eyewitness account of the Gulf of Mexico"
Devastating Offshore Oil Threat to NZ waters and ALL marine life, including the Maui's & Hector's Dolphins!!! 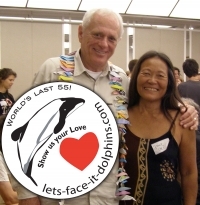 Please support USA proposal to save Maui and Hector’s dolphins! 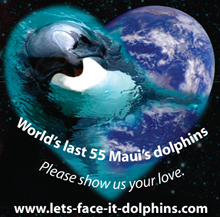 Please support the US National Oceanographic and Atmospheric Agency’s initiative to list Hector’s and Maui dolphins under the Endangered Species Act. We've Tried & Tried! What To Do When They Just Won't Listen?! 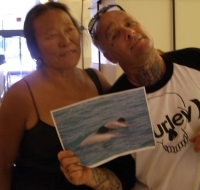 It is more than evident that unless the current government is VOTED OUT, the last 55 Maui's Dolphins could become EXTINCT less than two decades from now. 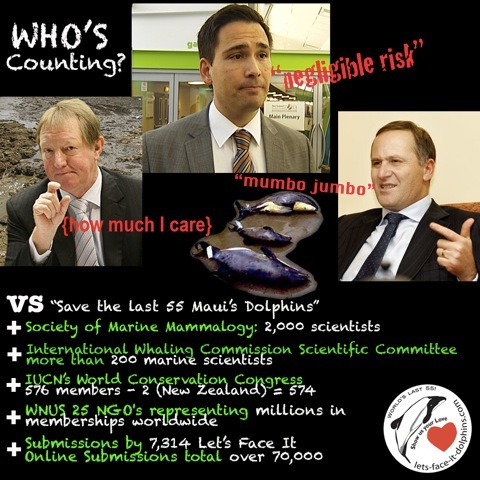 Battles are being hard fought for the world's smallest, rarest dolphin in New Zealand -- a nation perceived as “green” but currently only in theory, not action. 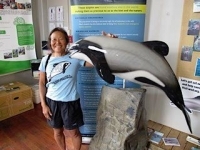 Peggy Oki talks with Aaron of Raglan Radio in NZ about the Maui's Dolphin Threat Management Plan recently announced, threats to their habitat, the current New Zealand government, and more. 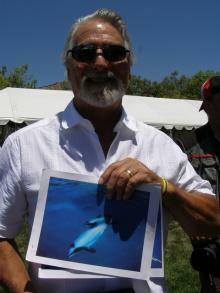 Ric wrote: "Lets get behind this urgent effort, folks!" and with his blessings to create this VP on his behalf, "We love Peggy". 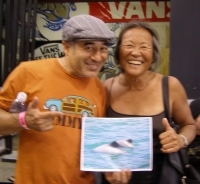 Steve Caballero (born November 8, 1964, San Jose, California) is a professional skateboarder and musician. Steve was born in the year of the dragon, and has had several board graphics that feature dragons. 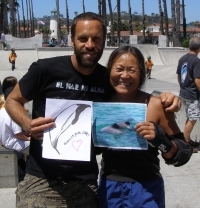 Natas Kaupas (born 1969) is a semi-retired American professional skateboarder. He grew up in South Santa Monica, California in the area known as Dogtown and is of Lithuanian descent. He attended Santa Monica High School. He is often referred to as one of the first true professional street skateboarders. 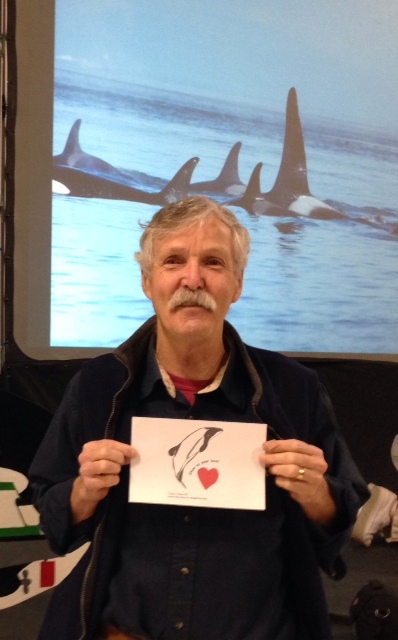 Howard Garrett offers educational programs about orca natural history around the Pacific Northwest. 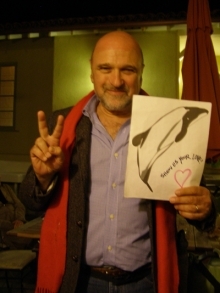 He co-founded the non-profit Orca Network in November 2001 with Susan Berta. 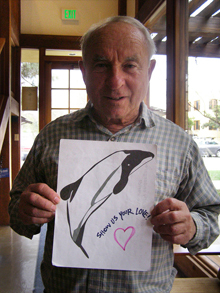 Howard received his degree in Sociology from The Colorado College in 1980, and began working with the Center for Whale Research on San Juan Island in 1981. 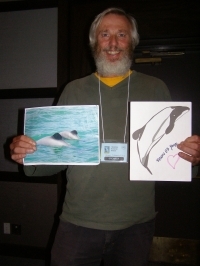 In 1996 Garrett wrote Orcas In Our Midst, a booklet oriented toward middle-school students, and has since published additional educational books about resident and transient Orcas in the area. 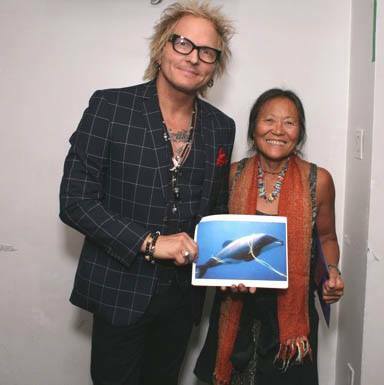 Matt Sorum speaks through the drums. Each hit or kick that Sorum has committed to tape or knocked out on stage can be felt by anyone within earshot. Roger DeCoster’s name is almost synonymous with the sport of motocross. DeCoster is generally recognized as the best-known racer in motocross in the first 50 years of the sport. His racing accomplishments are simply remarkable. 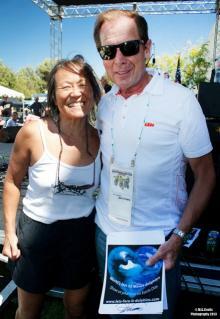 Legendary rock climber, surfer, environmentalist and outdoor industry businessman, noted for his contributions to climbing, climbing equipment and the outdoor gear business. 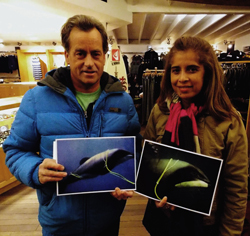 His second company, Patagonia, is known for its environmental focus. 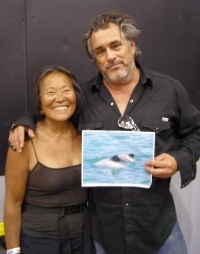 For one, living legend and hero seen as Sea Shepherd Conservation Society crew member on "Whale Wars", Pottsy has put his life on the line to save the Whales off Antarctica. 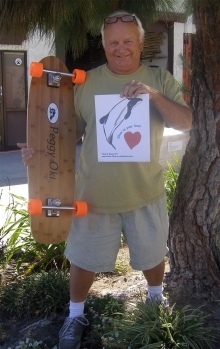 We love Steve, legendary old school professional Santa Cruz Skateboard team ridder, character so colorful... Here's looking at you Steve. Saul Hudson (born July 23, 1965), better known by his stage name Slash, is a British-American musician and songwriter. 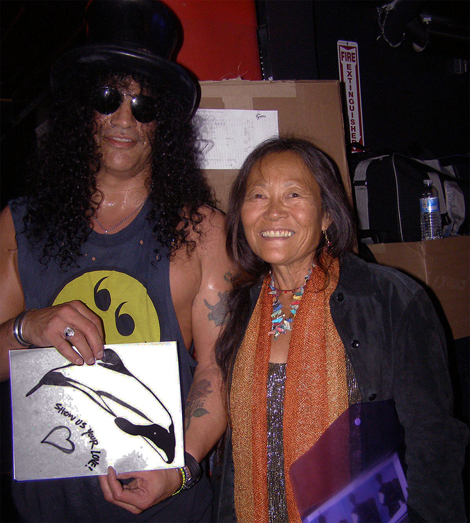 He is best known as the former lead guitarist of the American hard rock band Guns N' Roses, with whom (Slash achieved worldwide success in the late 1980s and early 1990s. 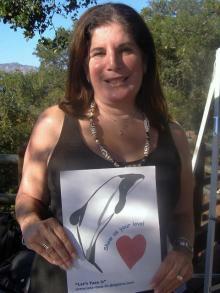 Helene Schneider currently Mayor of Santa Barbara (California), previously served as Councilmember from 2004 to 2010. Danny LaPorte helped the United States make the transition from underdog to world leader in the sport of motocross. Vernon Courtland Johnson, or VCJ, is one of today’s most influential artists working in a commercial medium. His iconic designs for Powell Peralta have inspired thousands of other artists worldwide, and he routinely gets namechecked by street-art superstars like D*Face and Shepard Fairey. VCJ didn’t invent the idea of skateboard art, but he both defined it and set a standard that others have yet to match. 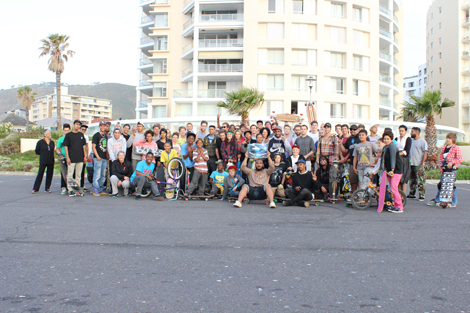 The group of skateboarders united in the celebration of the lifting of the ban of skateboarding on a Promenade in Cape Town, and last week we united to support the Lets Face It campaign. 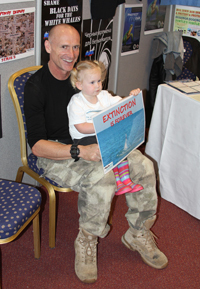 It was featured in the local papers as well. I wish you the best of luck with the cause and I hope that we are able to support in the future. 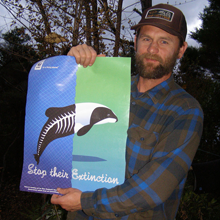 Research Biologist and one of the founders of Cascadia Research, a non-profit research organization formed in 1979 based in Olympia, Washington. 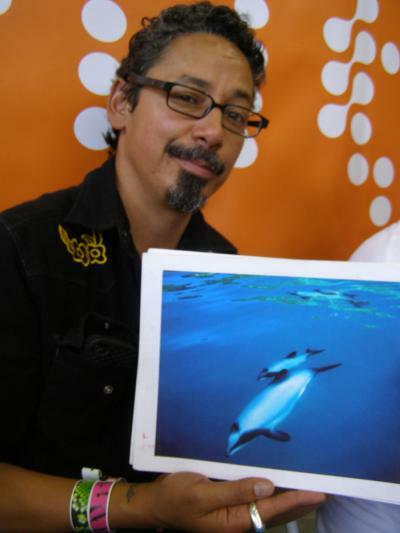 His work has been covered on shows by Discovery Channel and others and has been featured in National Geographic TV specials and a magazine article in 2009. Steve Stevens is one of the most original guitarists to emerge from the 80's rock scene, best known for his 30 year partnership with Billy Idol, his work on Michael Jackson's "Dirty Diana", his Grammy Award winning performance on "Top Gun Anthem" & his work with Vince Neil on "Exposed"... & ...Josie Stevens is an American TV personality, model & fashion designer. First known as a professional surfers, Chris along with brothers Keith and Dan impressed the world over with their surfing. 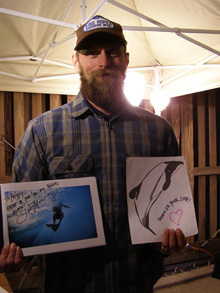 Along with surfers like Pancho Sullivan, Myles Padaca, Noah Johnson and Strider Wasilewski, Malloy was part of a new breed of pro surfer who put travel and big waves way ahead of competition on the priority list. He became a fixture in the surf magazines, was a top-biller in Taylor Steele's momentous surf videos and, in one article, was even labeled a "New School ringleader." California surfer / writer / photographer who stars in Woodshed Films’ 180° South – A trip that mirrors the legendary journey of Yvon Chouinard and Doug Tompkins. 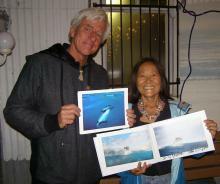 An accomplished writer, his works have appeared in Surfer’s Journal, Surfer, and Alpinist. Robert Lance Mountain was one of the prominent skateboarders throughout the 1980s, primarily due to his involvement with the Bones Brigade; Mountain is featured in the 1987 Powell-Peralta video, The Search For Animal Chin. Jack Johnson is an American folk rock singer-songwriter, surfer and musician known for his work in the soft rock and acoustic genres. In 2001, he achieved commercial success after the release of his debut album, Brushfire Fairytales. 19th District Senator, California. 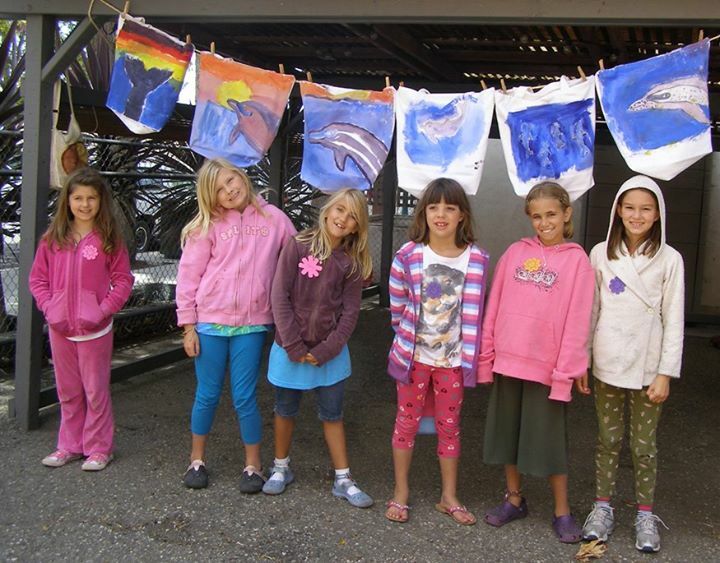 Hannah-Beth Jackson is an educator, former State Assembly Member, and former Deputy District Attorney. 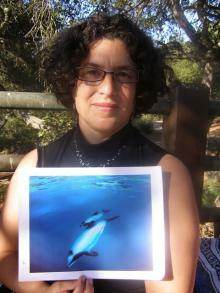 She was elected to represent the 35th Assembly District, encompassing large portions of Ventura and Santa Barbara Counties, from 1998 to 2004. 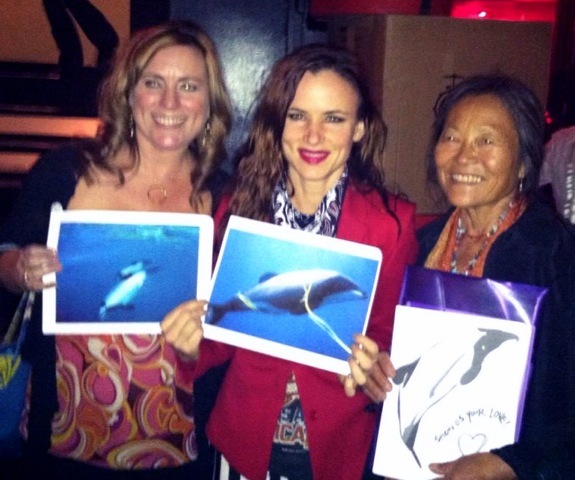 Juliette Lewis (born June 21, 1973) is an American actress and singer. She gained fame for her role in the 1991 thriller Cape Fear for which she was nominated for both an Academy Award and Golden Globe for Best Supporting Actress. This followed with major roles in What's Eating Gilbert Grape, Natural Born Killers, Strange Days, The Evening Star, Kalifornia, From Dusk Till Dawn, and The Other Sister. 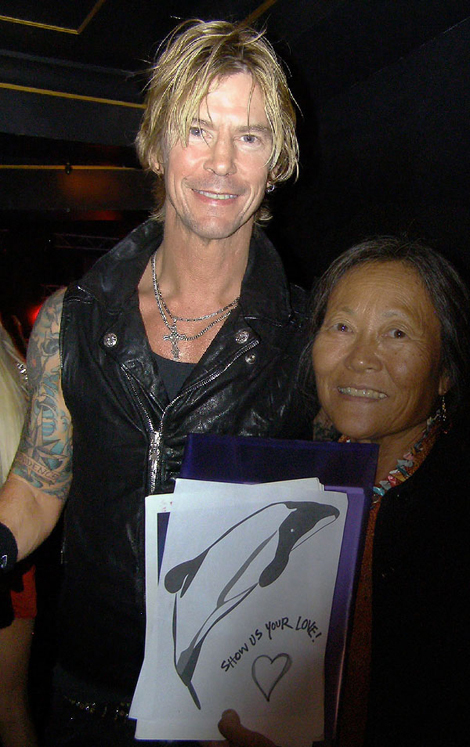 Michael Andrew "Duff" McKagan (born February 5, 1964) is an American musician and writer. He is best known for his twelve-year tenure as the bassist of the hard rock band Guns N' Roses, with whom he achieved worldwide success in the late 1980s and early 1990s. During his later years with the band, he released a solo album, Believe in Me (1993), and formed the short-lived supergroup Neurotic Outsiders. McGill was a member of the "Bones Brigade", an elite team of skateboarders sponsored by Powell Peralta who dominated the sub-culture of professional skateboarding (both in contests and in popularity) for a large part of the 1980s. 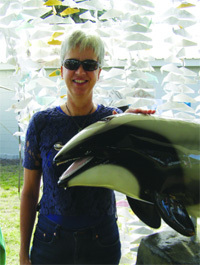 Co-founder of Heal the Ocean, Hillary Hauser (pictured left) has been a writer/journalist/news reporter since 1968, with published books about the sea and underwater exploration, and magazine articles including National Geographic, Geo, Islands, The Surfer’s Journal, Reader’s Digest and the Los Angeles Times. 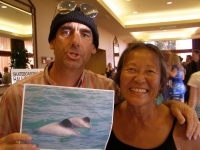 Living legend Mark Cunningham continues his exciting life as one of the most inspiring world class bodysurfers of all time after retiring from 29 years of Honolulu City & County lifeguard duty including the beach at Ehukai Beach Park for nearly two decades. 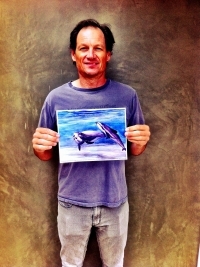 He's six time winner of the Pipeline Bodysurfing Classic. 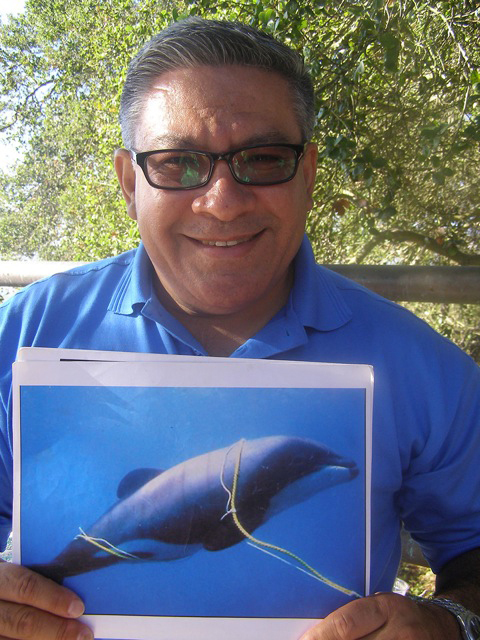 Santa Barbara County Supervisor Salud Carbajal is a Legend! He is always ready to help! 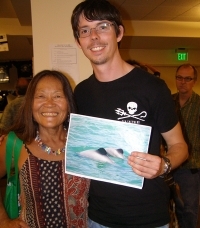 Second Mate, Sea Shepherd Conservation Society Born in Sweden and raised in the United Kingdom, Peter, 23, joined the Sea Shepherd Conservation Society as soon as he was old enough to submit an application. 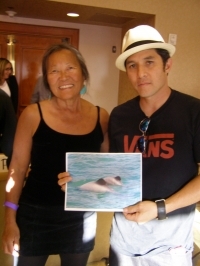 Hosoi started skating at seven or eight years old with veterans such as Shogo Kubo, Tony Alva, Stacy Peralta, and Jay Adams as his idols. Brad Lackey was one of America’s pioneering motocross racers of the 1970s and ‘80s. In 1972, Lackey won the AMA 500cc National Motocross championship. In 1982, after a decade of trying, he became the first American to win the 500cc World Motocross Championship. Andrew Davis is an American film director, producer and cinematographer who has directed a number of well-noted action thrillers. 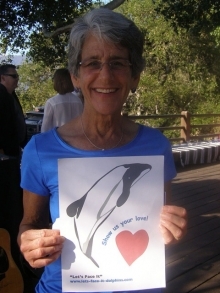 Over 4 years ago, at a press conference against commercial whaling, we met the now Santa Barbara Second District Supervisor, Janet Wolf. 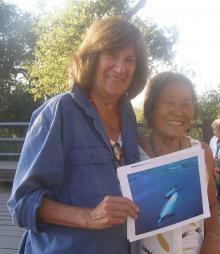 We are grateful to Janet also "Showing Us the Love" for "our" Maui's & Hector's Dolphins of New Zealand. With Táta Vega, what you hear is what you get--and what you get is an artist whose music mirrors her spirit...and vice versa. ​A fresh and original blend of energy and inspiration...an effervescent personality combined with abundant talent, refreshing music and an eternal message. 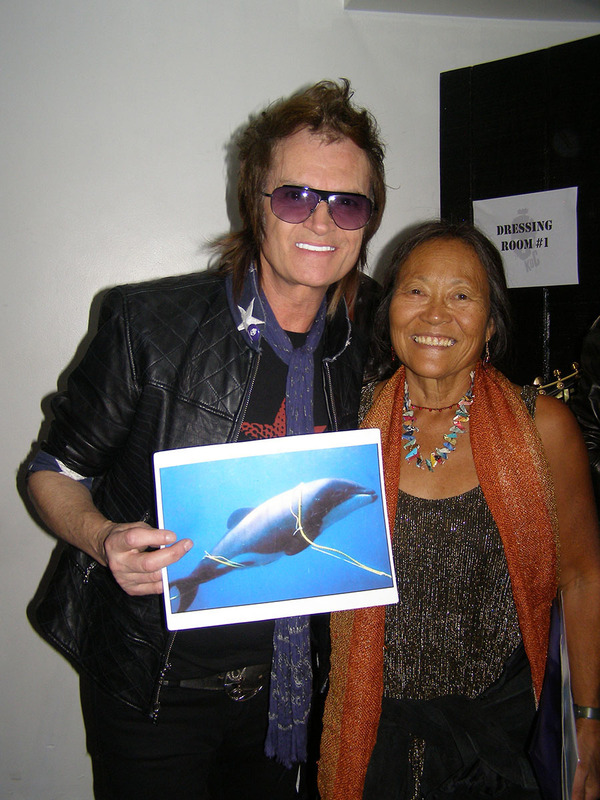 Vocalist/bass guitarist/songwriter Glenn Hughes is a true original. No other rock musician has carved such a distinctive style blending the finest elements of hard rock, soul and funk. That astonishing voice is Hughes' calling card. He's known as a singer's singer. Stevie Wonder once called Hughes his favourite white singer. 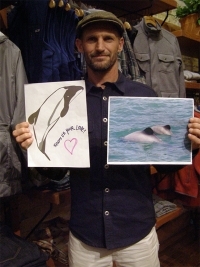 Like his brothers, Keith is a master of all forms of waveriding. 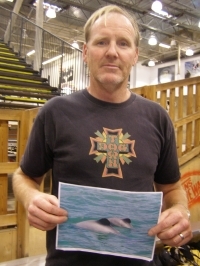 Keith can surf anything and everything from 2' to 25' and was on the WQS tour for years and ended up qualifying for the WCT. Keith did the WCT for one year but decided that traveling and surfing with his brothers and friends, making movies, and having the freedom to go anywhere in the world on short notice for a huge swell was more to his liking. Keith and his brothers shocked the surfing community when they went outside of the industry and signed a sponsorship deal with environmentally friendly Patagonia. 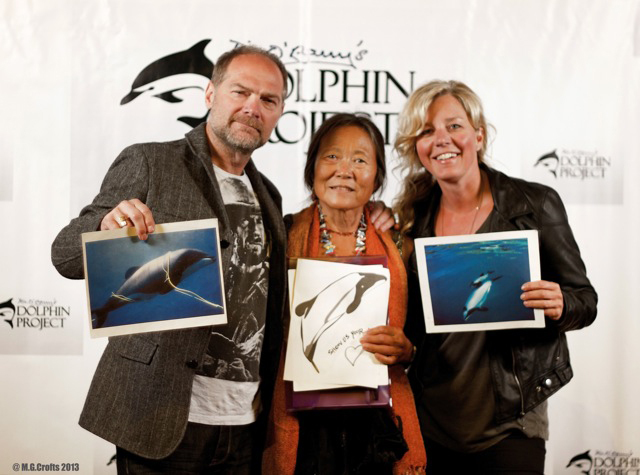 All three Malloys are a driving force behind the brand's ocean stores and conservation efforts. 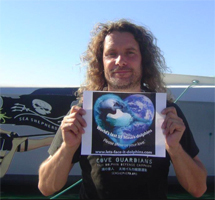 Dutch activist Erwin Vermeulen traveled to Japan last year to serve as Cove Guardian volunteer for Sea Shepherd Conservation Society. Tony Alva was featured in the video game, Tony Hawk's American Wasteland. 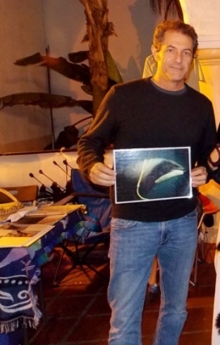 In 2012 he appeared on an episode of the A&E reality series Storage Wars to appraise a skateboard. 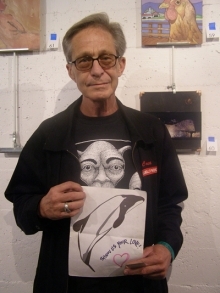 American skateboarder most prominently known as one of the original members of Z-Boys skateboarding team. 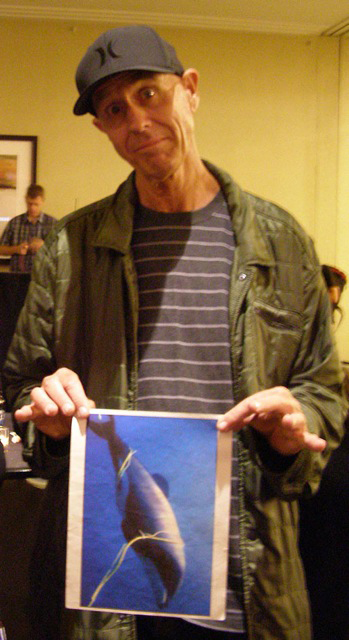 He is considered one of the most influential skateboarders of all time. Shaun Tomson has been listed as one of the 25 most influential surfers of the century and as one of the 10 greatest surfers of all time. 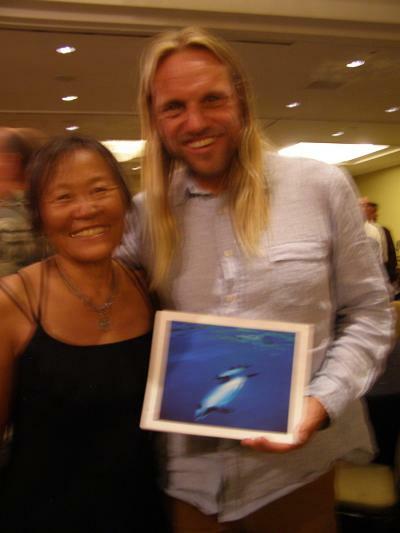 During his career he was both the youngest and oldest surfer to win a pro event and is considered to be one of the architects of professional surfing. 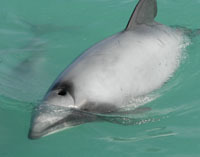 New Zealand's leading authority on the use of population modelling to estimate sustainable levels of marine mammal bycatch in fishing operations. C. R. Stecyk III is a multimedia artist widely acknowledged as a major influence within the genres of graffiti and street art. He has participated in more than 300 international exhibitions and his work is included in a number of public collections. Best known as the award winning producer and star of the hit TV series Survivorman (OLN Canada, The Science Channel US, Discovery Channel International, City TV (Rogers) Canada), Les Stroud is the only producer in the history of television to produce an internationally broadcast series entirely written, videotaped and hosted alone. 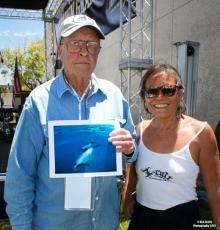 Filmmaker Bruce Brown single-handedly changed the face of surfing with The Endless Summer. Its been estimated that over 6.1 million people snowboard just in the US alone. According to Chuck Barfoot, the reason snowboarding was invented was because a few surfers wanted to surf in the snow - they totally related it to surfing. 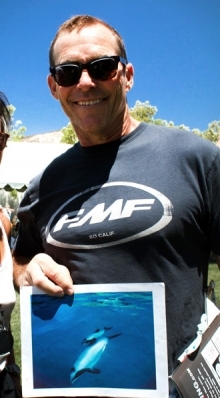 Surfing legend Tom Curren has been the world champion three times (1985, 1986, 1990) and won 33 championship events in his professional career, a total only bested by Kelly Slater. 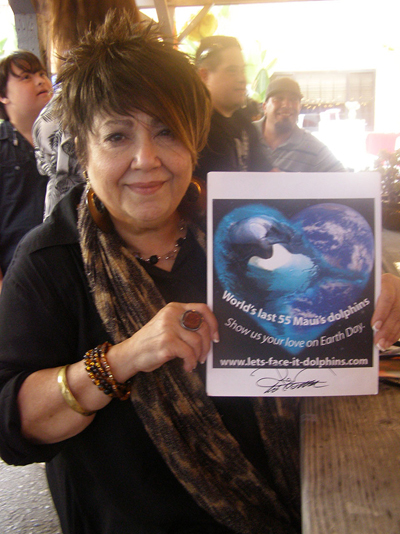 All images are Copyright of Peggy Oki. All Rights Reserved. All copyrights and trademarks appearing on this site are the property of their respective owners.